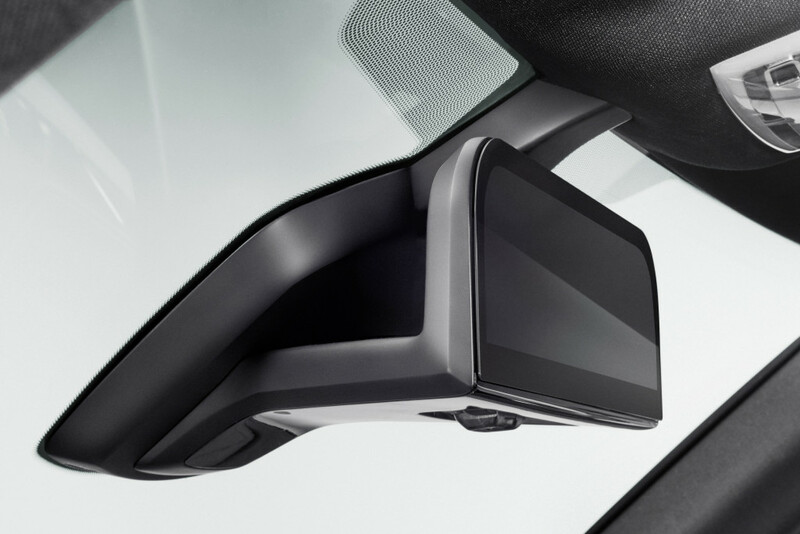 In another foray towards reducing side-view mirrors with cameras, BMW presented Tuesday an i8 Mirrorless concept it touted as safer and more aerodynamic for customers — a concept with the potential to affect collision repairers and aftermarket mirror manufacturers. 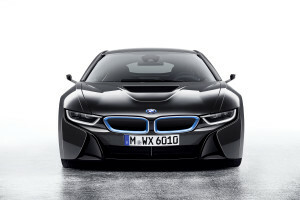 BMW wrote in a press kit it uses two “insignificant looking cameras, accommodated in aerodynamically optimised holders,” on the sides of the concept i8. Software merges their images with those from a camera above the rear window into a single panorama on a high-res screen where the rearview mirror would normally be. Also useful: The system could be adjusted for glare, convenient at night, and like rearview cameras today, lines help a driver park. Essentially, the system sounds like a natural upgrade to the rearview cameras becoming more frequent today. 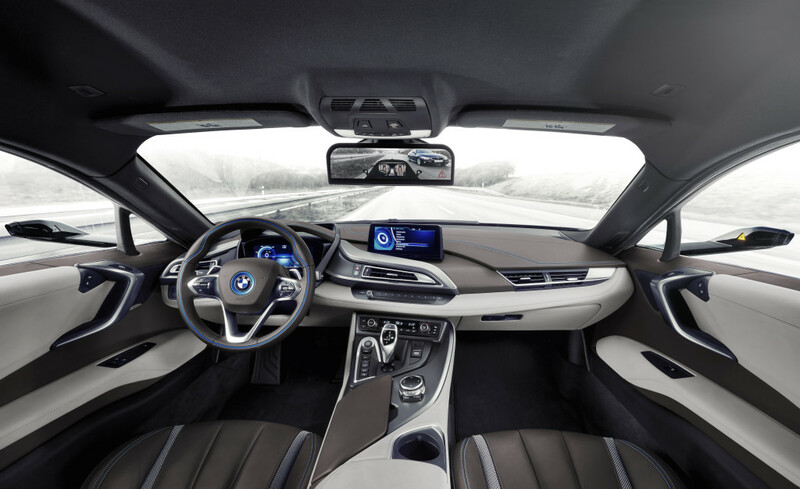 It would provide an i8 driver with more information and more help interpreting that information, a useful stopgap in a fleet in various stages of getting smarter. For example, just because some cars behind you will be able to automatically switch between high and low beams doesn’t mean all cars will — and so the glare adjustment might help. The upgraded blind-spot warning would also help until the car in the other lane or the i8 advance to the point where they prevent collisions regardless of the driver’s attention. Finally, the improved aerodynamics hinder noise and help fuel (well, electricity) economy. The NHTSA signed an order in March 2014 mandating rear-view cameras be standard by 2018, and the Auto Alliance the same day urged them to allow cameras instead of normal side-view and rear-view mirrors. As a collision repairer, there are two things here that could affect your business — one for the better, one for the worse. First, the bad news: Fewer crashes and sideswipes mean less work. But the good news: Any replacement sideview cameras integrated into a broader system would have to be OEM unless customers, insurers and regulators are utterly out of their minds. Mitchell industry relations Vice President Greg Horn wrote in an September email that mirrors are affected in 26 percent of insurance claims logged by his estimating service. However, that masks an even higher damage rate, according to Horn. Given the average deductible of $600 found by Mitchell, customers often will pay out-of-pocket instead of filing a claim if damage is limited to the mirror, he wrote. Also, recycled doors installed during a repair often include a mirror, which further “dilutes the involvement rate,” he wrote.